I just had to come back and visit again. This is really lovely Juli. Oh, Ginny! Thank you! And, thank you for being my first comment on this new exploration. I think this is what creativity is…’the ‘Universe exploring itself.’ We just have to open the aperture – and create. I find this quote and your words so encouraging as I put my tenderly made yet uncertain creation out into the world. So grateful to you, Ginny. Thank you. I have certainly missed your voice here – so good to see your image and words arrive in my inbox today. This image – such depth and complexity within its simplicity. So much to ponder and consider within this garden of glass. Thank you, Brenda, so much! I felt like I let down the side, but I ran dry. No words. For some time. But, it feels as though the well is filling up, again. We shall see. Thank you for your wonderful, ever-present, incredible support. So great to have your art and words back with us again, Juli! This image is so painterly. A moment of summer in a glass. Lovely. Hi, Juli! I’m late to the party because I’ve been traveling, but I’m so happy to see you back here! 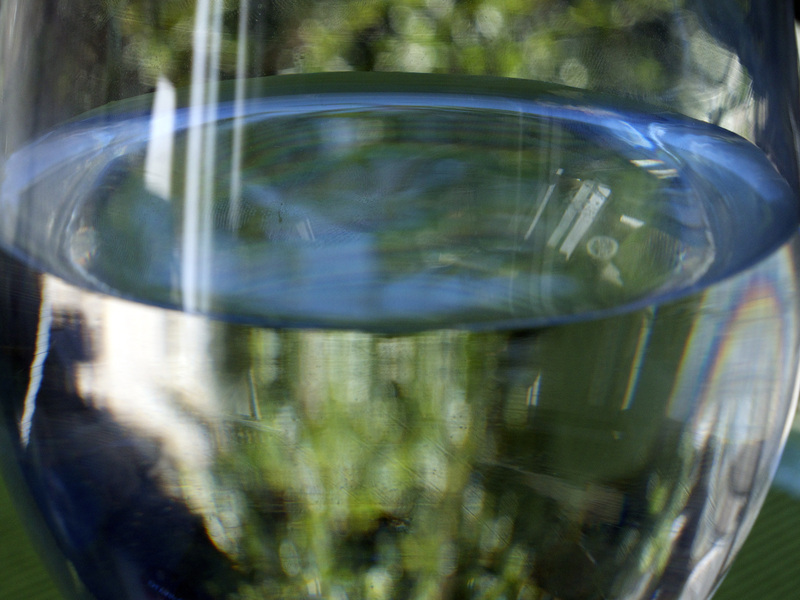 Your glass garden is filled with abstract summer beauty, a glass more than half full. It’s so good to hear your lovely voice again.